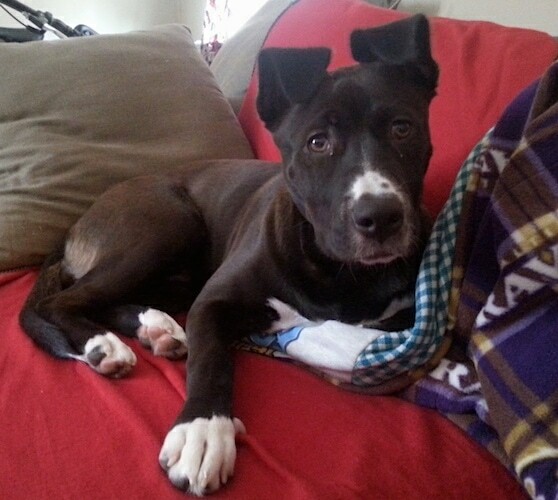 Nova the Border Collie / Labrador Retriever mix breed dog as a puppy at 6 months old—"Nova is a fireball. She loves going on walks and eating frozen carrots. Nova also enjoys going to the beach and playing in the water, but her favorite place to be is curled up in her Dad's lap."